The regular football season is long gone. While there are other football games here and there, the scene is almost quiet. The break is here. It’s the same with every other kind of sport you can think of. There’ll be that one time (the off-season) where the sport and its superstars will have to go on a break: either to rest their bodies or rest their engines. It is true that the football betting market never sleeps as there’s always one game or the other being played in one country or the other. But, with most of the European (and familiar) football leagues available on holiday, it means you’re left with teams you’re not familiar with to bet on. While this is not entirely bad, it means you have to make more research, look those teams up and take an even greater risk of putting your money on teams whose playing style you’re not familiar with. Well, it depends on how much risk you like to take. While some punters prefer to put their money where their mouth is and on familiar names (or at least fairly familiar names), others welcome whatever kind of hand is available. It may put more money in your bank account and it may take away from it. But, how about a football market that never sleeps? If you’re reading this, you obviously love earning some cool cash by betting on your favourite teams. But, what if you discovered a football league that never sleeps, always has great odds on offer and lets you play as many times as possible (also cash out as many times as possible) in a single day? Well, if you’re used to selecting football games and waiting for hours on end before they’re played, then what we’re about to introduce to you (if it’s new to you) might sound a bit strange. So, are you ready for it? It’s called the Virtual Football League. No other football league in the world serves up as many games… in ONE DAY… as the Virtual Football League (VFL). Wondering how? The Virtual Football League is just like a normal, everyday football league. Nothing special. A number of teams play against each other and compete for the league title. Are you looking to explore other betting options? Then the Virtual Football League is the answer you need. Unlike in most football leagues where games are played during the weekends, the virtual football league features league games EVERYDAY! To put things into perspective, there can be as many as 10 games played in a single hour. That’s 240 games in a whole day! 240 games on which you can place bets and earn yourself some cash. This is made possible by computer simulations which generate the football games. So, instead of waiting 90 minutes for the outcome of a game, the VFL gives you an outcome within 4-5 minutes – one minute 30 seconds for each half, 10 seconds for half-time and a minute to make selections and place your bets. This means that you can bet on a selection of football matches every 5 minutes. With betting options like Under/Over Goals, Handicap, Match Result, Correct Scores also on offer, betting doesn’t get any better than this. Now that you know what VFL is and how it works, how can you make money from it? Before you can talk of placing bets on any betting platform, you need to have opened a betting account. This will give you access to all the great odds and amazing offers available on the betting platform. Once your betting account is created, you’ll then need to fund the account. Depending on your location, there are different easy ways through which you can fund your betting account. Be sure to look through and use the one that you’re most comfortable with. Either you prefer to play on your mobile phone or on a computer, you will need to have access to a fast internet connection. This will enable you to place your bets quickly. Being an online thing, and given the short intervals between games, access to quick and speedy internet connection is important. For example, you discover a sweet selection of games. Great odds and a mouth-watering possible outcome. You make the selection, and enter the amount you want to stake on those games. You try to process the transaction but your slow internet connection lets you down. You couldn’t play the game, but at the end of the day, your prediction comes through and you’re left wondering what could have been and how much you could have made. Don’t wait till you experience this. 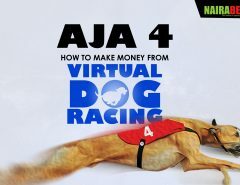 Get yourself a fast and reliable internet connection and enjoy making cool money from betting on virtual football league games. All day, every day! You’re probably wondering how a “plan” and “betting” are in the same context, right? Well, since we’re advocates of responsible gambling, it’s only fair to let you know what can help you on your way to making some extra cash. The first (and most important) is this: don’t bet with what you can’t afford to lose. This is so important. And only a plan can help you to achieve this. 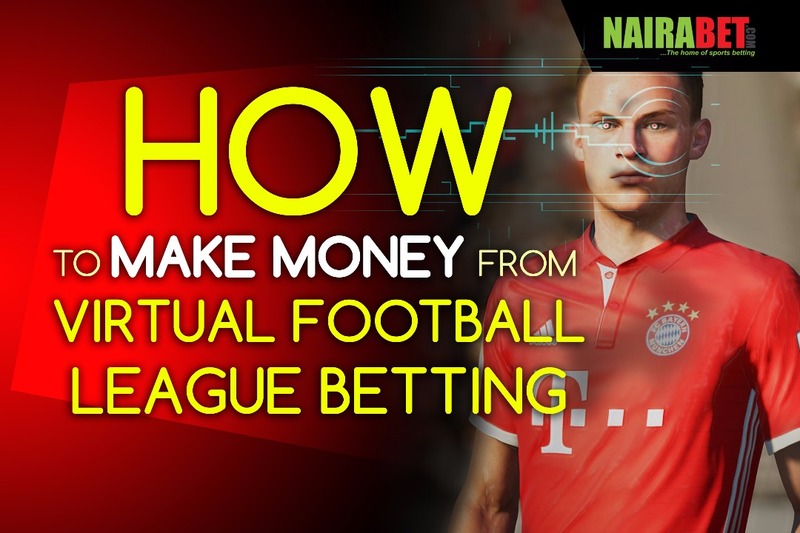 To successfully make money betting on virtual football league games, you can start by setting aside some money that you can afford to lose. See it as some form of investment. With all kinds of investments, there’s one risk or the other involved. And you don’t want to lose all your money at a go. So, it’s best to divide your capital and use it wisely. Start placing your bets on virtual football games; don’t wait till the major football leagues start their season. You can keep on betting now and watch your bank balance grow. Have you bet on the Virtual Football League before? Share your experience with us in the comments. By following the tips in the post.